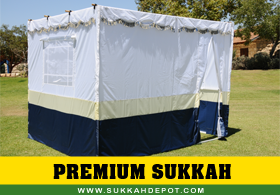 Sukkah depot is the most recognized Sukkah company in North America. We revolutionized the Sukkah design world with our Easy Lock system which allows almost anyone to built his Sukkah without any tools or screws in few minutes. 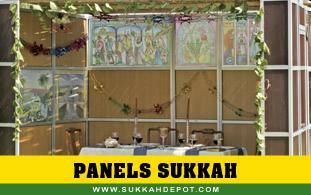 We continue to improve our product line with our unique Panel Sukkah which provides our customer a panel sukkah with the convenience of snap together EZ Sukkah. Sukkah Depot is the talk of the town. Literally! Sukkah Depot proudly offers a complete high-quality package of products for the Schach and ornaments, which are developed as works of art from the highest quality and most advanced materials, in order to provide the customer with an excellent, long lasting and resistant product, along with an appealing design, and all this in strict accordance with Jewish law. 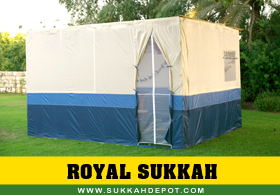 For many years, Jews in North America have been able to fulfill the mitzvahs of the Sukkot holiday using the Sukkahs provided by Sukkah Depot. 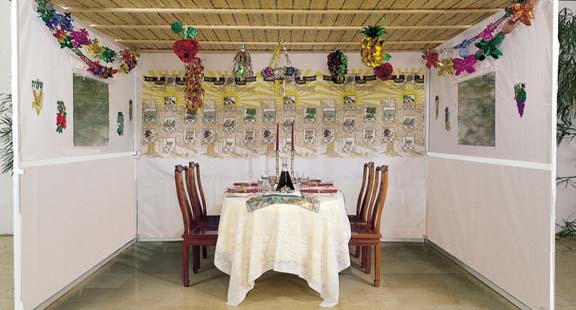 These Sukkahs are notable for their appealing design made of the latest composite materials that will withstand harsh outdoor environmental conditions; yet they are so easy to assemble that you can build your own Sukkah yourself. All this, in addition to attractive prices, makes it possible for any Jew to perform the mitzvah of building a sukkah and to celebrate a kosher Sukkot holiday. 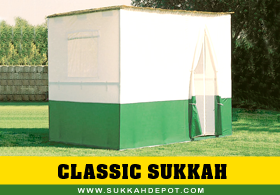 Only Sukkah with a 10 years warranty! What size sukkah do I need? What tools do I need to build a sukkah? Although our sukkah do not require any tools, for an easier building experience we recommend a rubber mallet to connect the rods. What is the most common mistake costumers come across while assembling the EZ sukkah? How do I know what is the top and what is the bottom of the EZ sukka corner rod. Every rod is divided into two unequal parts – one long and one short. Out of the two, the shorter part is always at the bottom and the longer part is always at the top. What should I watch out for before laying the schach? 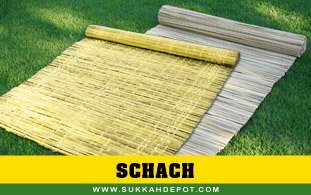 Make sure you finished constructing the sukkah and make sure the wooden beams that support the schach are stable and tied to the sukkah frame.